hosting own missions or copies (permission maybe needed if copy on open server). 1-take a track/mission from multiplayer after flying in a server from IL-2 BOX series..
better as to not keep same name as original mission maker/owner). (see snapshot of editor files). 4-these are tracks/or just call them copies of mission saved from multiplayer. 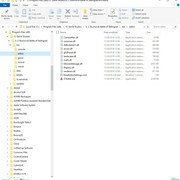 5-use all of the files in the mission, as better be safe than sorry as to which files are needed. 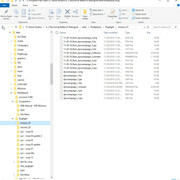 6-snapshots included of the folders/files. These show the file/folder/paths. 7-IL-2_BOS has the options of loading several missions for rotation, only one mission is needed. 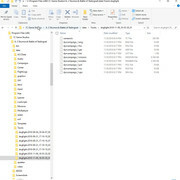 The dogfight folder is used, not coop. I added ships to both sides of the mission I took and tweaked to host multiplayer. 1- I cannot pause missions ( hosting multiplayer ) with 'P' key. What's wrong? 2- The screenshot ( sysreq) key makes a ding sound.